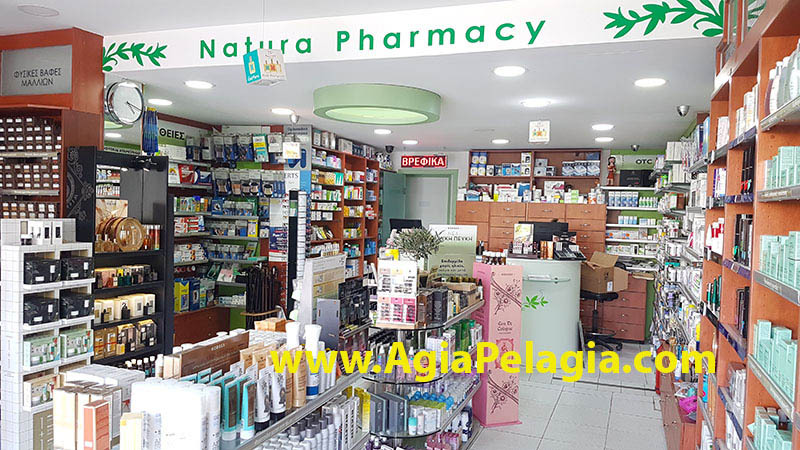 Pharmacy is located at 80mt from the center of the beach of Agia Pelagia, on the main/central road (Agias Pelagias street). 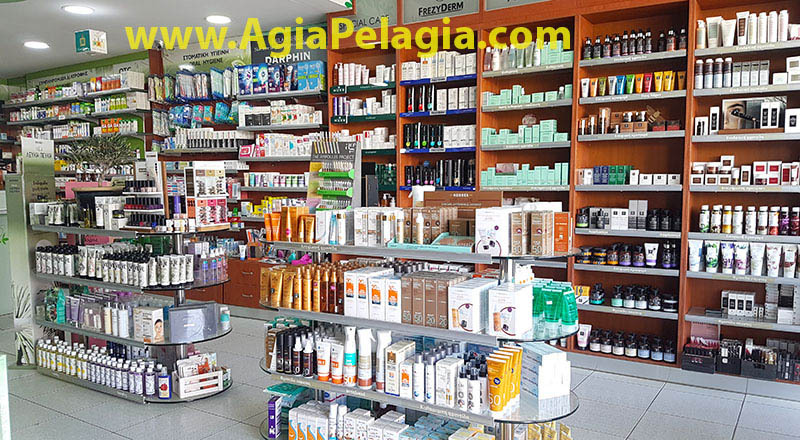 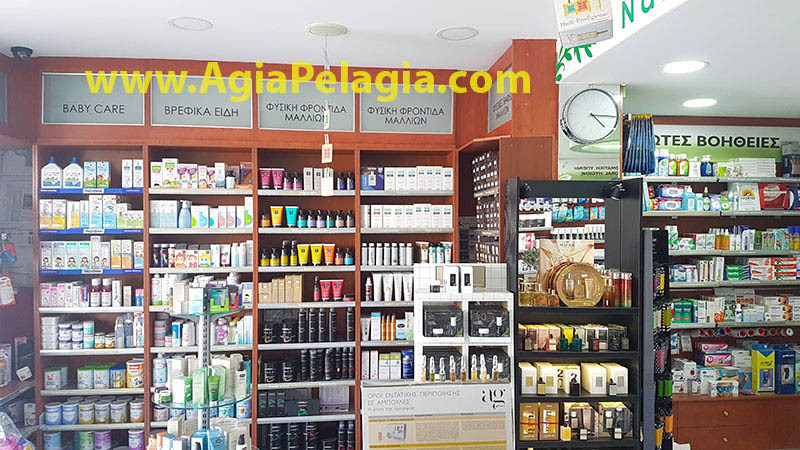 A modern Pharmacy that offers a very big selection of cosmetic products, health nutricion, natural products, sun protection and basic optical (reading) glasses beside the medical products. 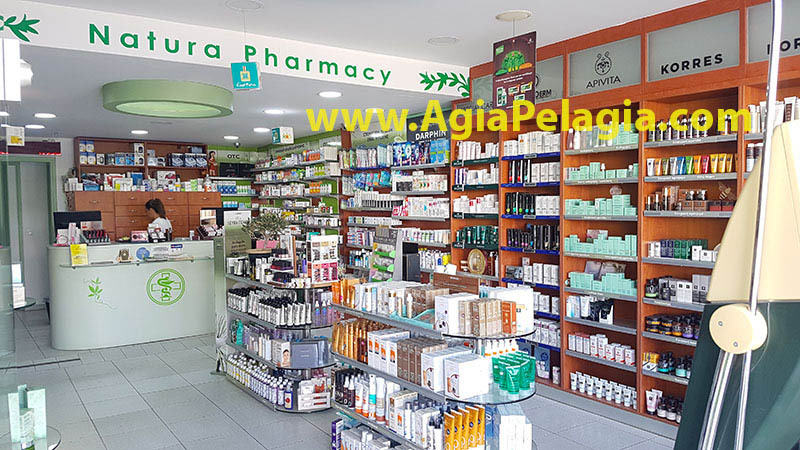 A parking area is available right opposite the Pharmacy. 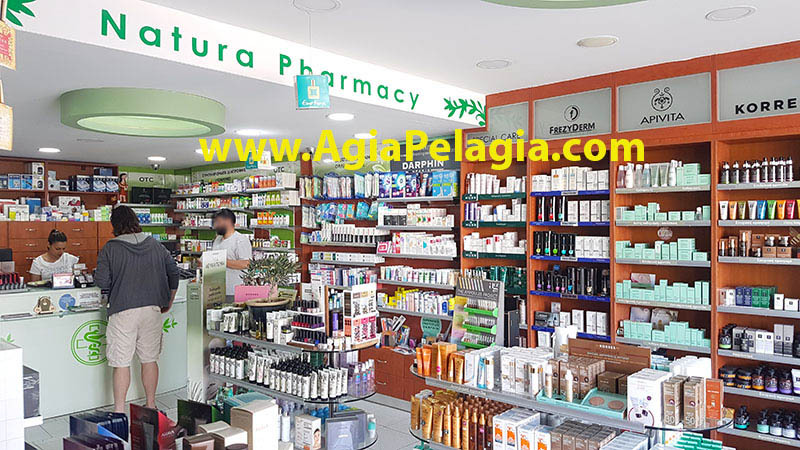 Entrance is accessible for disabled people.